Dr. Huffman's interest in lost urban experiences and reconstructing transformed or demolished spaces led her to work with Wired! 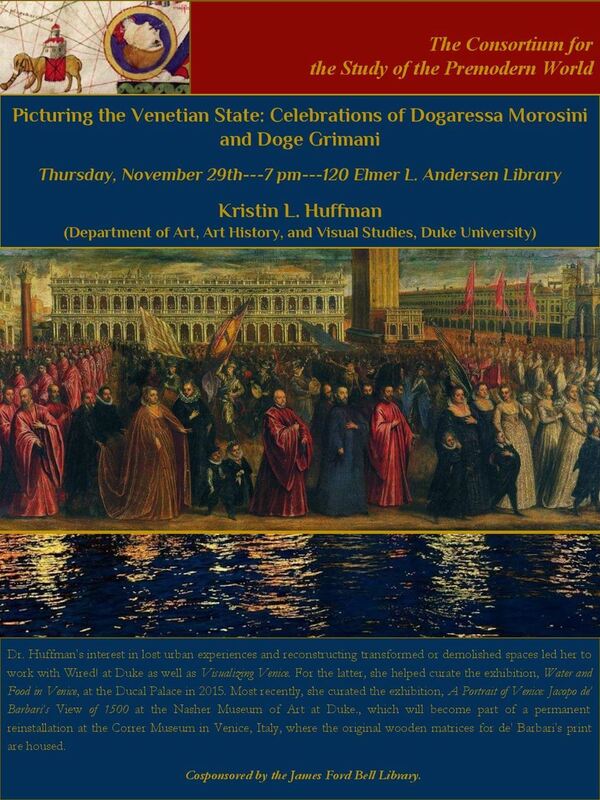 at Duke as well as Visualizing Venice. For the latter, she helped curate the exhibition, Water and Food in Venice, at the Ducal Palace in 2015. Most recently, she curated the exhibition, A Portrait of Venice: Jacopo de’ Barbari’s View of 1500 at the Nasher Museum of Art at Duke., which will become part of a permanent reinstallation at the Correr Museum in Venice, Italy, where the original wooden matrices for de' Barbari's print are housed.